Want to watch movies or videos on your PSP or PS3 while taking a break from playing? 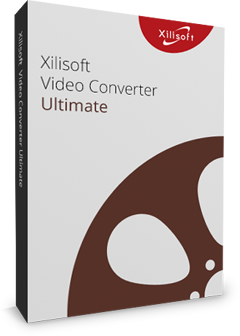 Xilisoft PSP Converter transforms and converts your favorite movies and videos in different formats like AVI, MPEG, WMV, MKV, DivX, RM, AVCHD, and H.264/MPEG-4 AVC High-Definition (HD) videos to PSP MPEG-4, PSP AVC, PS3 MPEG-4 (480p, 720p, 1080p) formats. Try Xilisoft PSP Video Converter now, so your PSP (or PS3) is not only used for playing games, but also for watching movies and videos! 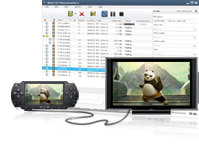 The PSP video converter supports converting Audio-Video Interleaved HD Video (*.avi), MPEG2 TS, WMV HD Video (*.xwmv), H.264/MPEG-4 AVC, AVCHD (*.m2ts, *.mts), etc. HD formats to HD PS3 Video (1080P) MPEG-4. Supported video formats: AVI, MPEG, WMV, DivX, MP4, RM, MOV, M4V, XviD, 3GP, VOB, FLV, MP2, MP3, WEA, WAV, RA, M4A and more. Supported audio formats: MP3, M4A, WMA, or WAV. 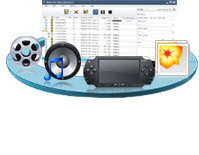 Enable you to convert various video format files and transfer them to PSP in one click. Detects and supports dual-core or multi-core CPU, meaning it converts faster if CPU cores are higher. Convert to highest PSP resolution 480x272; you can choose to display video thumbnail on PSP by generating a THM file during video conversion. After choosing output file formats, you can also choose audio quality, video quality and other file parameters before converting . From one single file, you can convert to several different file formats simultaneously. If you only want a certain clip from a video, you can just set the start and end time of the certain clip then click convert. Before converting , you can input your desired file size (bigger or smaller) in the bit rate calculator, and it will do the calculating and setting for you. Split a file into several small ones by setting the file size or file duration to split; it will automatically split once the split time or size is reached. Allows you to preview the video files in the built-in resizable player (supports 4:3 and 16:9 zoom mode), and take a snapshot of a certain favorite scene and save as JPEG, PNG, GIF or BMP file. With multithread converting technology, conversion is faster, and even quicker if you convert several files in batches simultaneously. You can choose from an array of skins available. Change the language to English, German, Chinese, French, Spanish or Japanese. Allows you to manage your system power in this PSP video converter. You can run the converter in the background while you do other tasks. Set an action (shutdown, hibernate, exit or standby) to perform automatically after the conversion to avoid waiting.